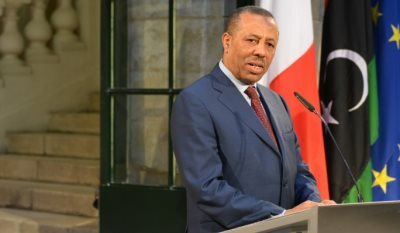 AFRICANGLOBE – Libya’s public finances, wracked by a dramatic loss in oil revenue that has been exacerbated by a power struggle between rival governments, are foundering. The crisis has prompted the authorities in Tripoli, who control much of western Libya, to plan cuts to petrol subsidies, to delay public salary payments and to ban on imports from cars to steel. And it has already been forcing the central bank – which is treading a fine line between rival governments and funds the whole country – to burn through its foreign reserves. Libya needs $30 billion to fund imports annually and typically spends $40 billion on its budget. “Libya is on the verge of economic and financial collapse,” U.N. Special Envoy Bernadino Leon, who has been trying to end a power struggle between the two governments, said last week. Since last year, the central bank has frozen year infrastructure projects, limited spending to basic public salaries and food and petrol subsidies. This has led civil servants, the biggest workforce in Libya, now to say they have not been paid for at least two months and accuse the central bank if not providing local lenders with liquidity to issue paychecks. The economy is essentially being hit on two sides. The dinar currency has lost 35 percent of its value against the dollar since January alone. Oil production, meanwhile, has fallen to 400,000 barrels a day, or a quarter of what was the case before an uprising toppled Muammar Gaddafi in 2011. Libya has earned only $5.5 billion so far in oil revenue fighting between the rival factions and Islamic State attacks have shut down major oilfields and ports, said Husni Bey, head of one of the biggest private firms and importers. But the country needs $3.5 billion every month, he said.